What a cool idea! 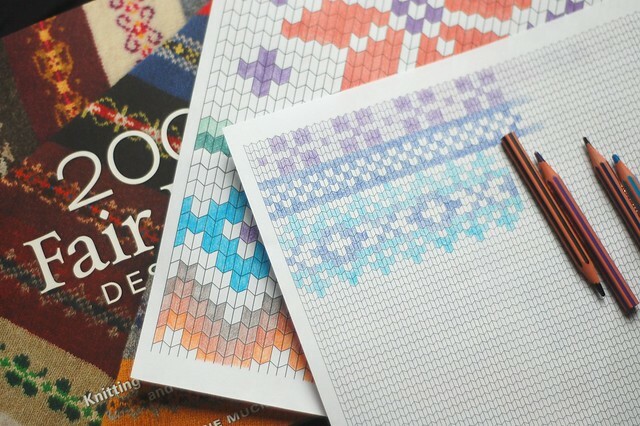 This will be a fun way to experiment with different colourwork patterns. I love Mary Jane’s book, also. Thanks for the knitting paper download. What fun! Thank you! I love colored pencils. Lovely! I’ve been hoping to come across something like this for awhile. 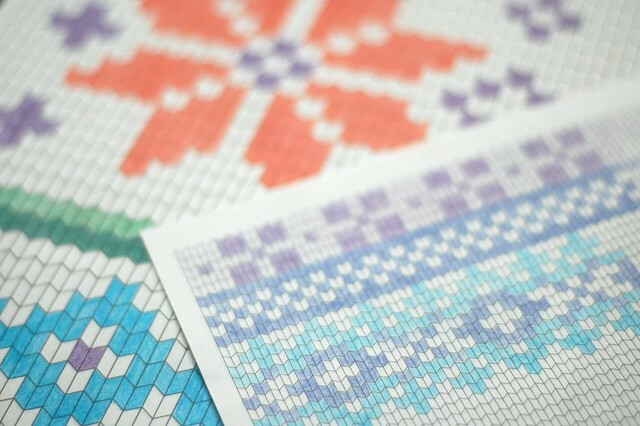 I especially like how you kept the knit stitch look, instead of just plain old graph paper. Thank you so much! How unique! I’m anxious to draw some shamrocks for the preemie hats we’re making. Thank you so much for your ideas — and for your generosity in sharing your work. I wish I had some of this paper when designing my first super long stocking caps! A couple of my snowflakes looked great on ordinary knitting graph paper but didn’t translate well in yarn. This will come in very handy. Thanks! I’m a crocheter; I haven’t yet learned the art of knitting. But I wonder if you might know where I could find such graphs for crocheting. My searches haven’t brought up what I’m looking for. This is such a great idea! My only concern is that usually stockinette stitch is wider than it is tall, so if you use this as is, the images might get kinda skewed once you’ve knit it up. 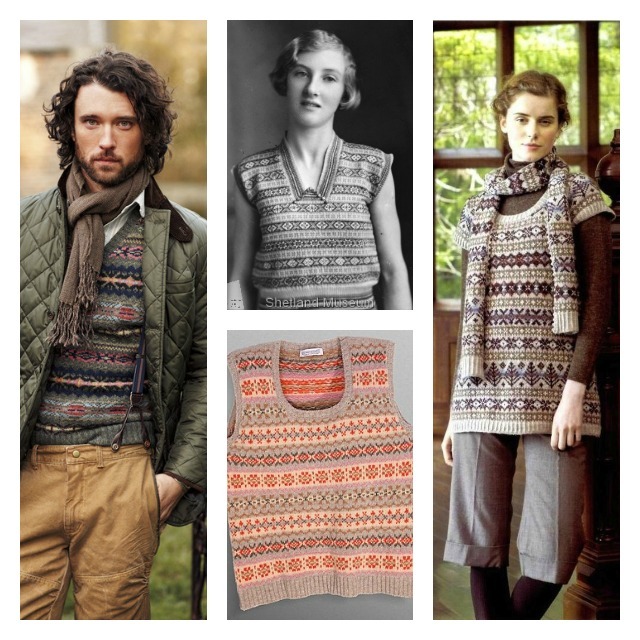 I ran into that issue writing my book about intarsia, so I wanted to pass on the info! My calculations say that for the width of every 3 sts you get about 4 rows of height, or stitches are generally 3/4 as tall as they are wide. Hope that helps! when I looked at the print out I also thought that the stitches appeared to be as wide as they are tall. However, if you measure you’ll find that they are exactly as you say: 3 stitches to 4 rows. It is an optical illusion. Oh that’s just amazing! 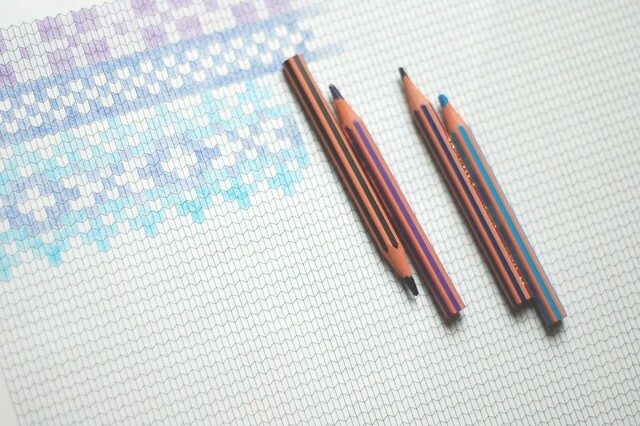 I adore the thought of colouring in my own faire isle pattern – hope to do it one day – when I’m a good enough knitter. Thanks for the inspiration. Thank you, Derya, what a great idea. That knitting paper is very helpful. Great idea on the graph paper, but OMG is that Lady Edith in the center top photo? this is wonderful!!! THANK YOU SO MUCH!!!! very kind of you. Just the resource I needed! I had seen others but they had different ratios. This is perfect for my Icelandic wool which knits 18:24. Thank you. I can now tackle the project I am planning.